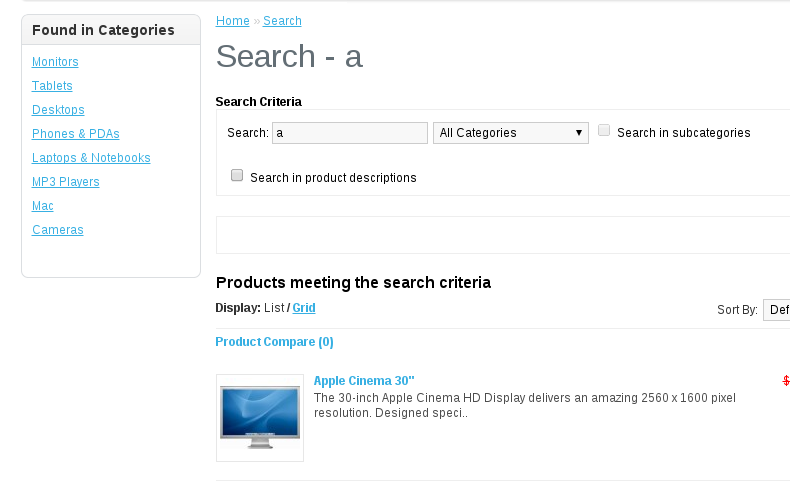 Filter Category Search allow your customers to filter search results by specific category. It will help your customers to find what they need more quickly. Important! this is free version of module it has low priority support. If you want good support and more features please take a look at the commercial version of this module. ✔ module does not overwrite any of your opencart files and doesn't use vQmod.